We offer a range of different driving lessons and courses that fit around you. If you need to pass quickly, why not try our Fast Pass courses? BOOK A LESSON View our prices and when you're ready, book your driving lessons and pay online, now. AREAS COVERED We offer lessons across Liverpool. For more information or if you have any questions, please get in-touch. With over 15 year's experience, we can offer you the driving lessons that you need. Learning to drive is an exciting time but we realise that everyone needs a little support one way or another. If you're already very confident and are ready for your first driving lessons, just get in touch. We are a team of over 40 instructors who work across Liverpool and because we are such a large team, we can tailor your lessons to your exact requirements. Regardless of what type of car (manual or automatic), whether you would prefer a male or female instructor or if you would prefer evening lessons to day time lessons, just let us know and we will be able to help. 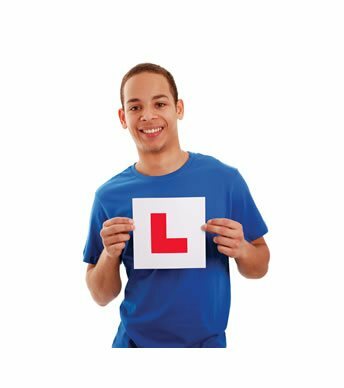 For less confident learner drivers, we are here to help. Each of our instructors has years of experience and will guide you through the basic steps of steering and clutch control, through to advanced driving manoeuvres and on to your driving test. We believe in ensuring that our students pass their tests as soon as possible. What that means is that we do not rush you but rather we continually encourage and challenge you with each lesson. We want you to pass your test but our main aim is to ensure you are a safe, confident and responsible road user. Some people start learning to drive with a member of their family, learning the basics before starting with a driving instructor. Being taught the basics by a family member can be a great way to start your driving adventure however, be careful. We all know of families that have fallen out because loved ones have less patience than a professional driving instructor. For those that go straight into lessons, you will likely be unfamiliar with the different pedals and gear changing. These are basic but important things that you will need to get right and once learned, a skill that will last you a life time. Once the basics have been mastered, you will progress on to the more challenging aspects of driving such as moving through traffic, navigating whilst driving and the essential manoeuvre that you will need such as the three point turn and reverse parking. As you progress, your instructor will keep monitoring your progress and let you know when they think you should book your tests and of course, we can help you with that. Our instructors have years of experience, not just teaching people how to drive but also giving advice on the theory test and which are the best resources to help ensure you retain the required information about speed limits, road signs and traffic law. Liverpool is a great place to learn to drive because of the wide variety of roads and situations that you will experience each time you get in the car. One of the first parts of your tuition is to familiarise yourself with the car and this is best done on a quite road, where your instructor can go through areas that you are not familiar with. These quieter streets are ideal for your first lessons and they give you the time to learn the basics and familiarise yourself with the car. At first, there is a lot to learn and sitting behind the wheel for the first time can be a bit daunting. Although you would have travelled in a car thousands of times before, it's not until you are behind the steering wheel that you realise how many controls and buttons you become responsible for. Your instructor will take you through the basics at first - steering wheel, gears and windscreen wipers. Other functions such as fog lights will not be required this early on and it's best not to try and work on everything all in one go. The exciting bit about your first driving lesson is getting behind the wheel and starting to drive so that's what we like to do as soon as possible. As soon as you do this, you will start to relax and then we can move on to teaching you about the other controls in the car. As your lessons progress, you will be taken on to busier roads with roundabouts, traffic lights and dual carriageways. Each of these has their own difficulties but they are ideal learning experiences. For example, you may not think driving down a busy high street is a great way to spend time - wouldn't you rather be flying down the dual carriageway at 70mpg? - but a busy road is perfect for learning clutch control. You will constantly need to keep stopping and starting because of the traffic so you will get a lot more practice with the clutch than you would if you were driving along on an empty road. We make booking your first driving lesson in Liverpool as easy as possible by giving you a few ways to do it. You can call us, send us an e-mail or use our online booking system which allows you to book lessons and pay for them in one easy process. If you have any questions we strongly suggest giving us a call so that you can talk to our team. 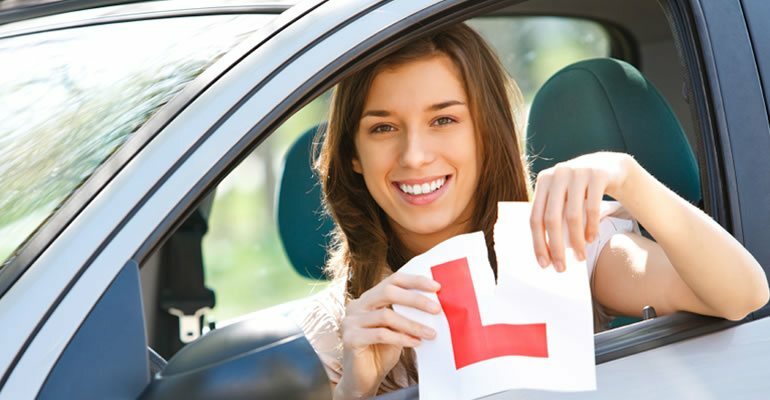 We will be able to answer any questions that you have whether it's about how to prepare for your first driving lesson, what instructors are available or simply how the first lesson will go. Refined communication and interpersonal skills: This is an essential quality to have in driving instructors, as it can be very difficult or intimidating learning to drive from a stranger. Our driving instructors in Liverpool are skilled, qualified and trained in communicating effectively with all the learners explaining the essentials such as road safety rules, important techniques, and procedures that will help them to be a safe driver on the roads. Also, Fast Pass driving school Liverpool instructors have a very outgoing personality with strong interpersonal skills, which make the learners relaxed and help them learn driving confidently. The ability of our driving instructors in being able to communicate all the important details in a very calm and understandable manner is what makes them stands out. Qualification: We are very particular about hiring only the qualified and skilled driving instructors in Liverpool for our driving school. Unlike the common assumption that the only qualification the driving instructor should have is a driving license, we pay enough weight to the qualifications and skill sets as well. We value our driving instructors, ensure they have achieved the most prestigious accreditation possible, and are with proper college degrees and knowledge. Patience while teaching: Getting behind the wheel can make anybody nervous and jittery irrespective of the age and gender especially; whether it is for the first time or the learner have had a bad experience before. At Fast Pass driving school in Liverpool, with the very best driving instructors’ team, having a wealth of experience and patience as an important skill while teaching to drive, they can successfully train even the most petrified of learners. Our driving instructors are patient, positive, and friendly and constantly boost the individual’s confidence on the road. This not only helps them to learn the essential techniques but also assist the learners to learn all the important standards and regulations for road safety. Teaching with authority: Our driving instructors in Liverpool teach much more than the driving skills. They take complete charge of the situation and works with full authority. Driving lessons Liverpool instructors are highly comfortable in their ability to teach using their knowledge, skills, and confidence to teach others. Why learn with Fast Pass driving school in Liverpool? If you are ready to book your first driving lessons in Liverpool with us, please get in touch. You can either book online, call us on 0151 2802970 or e-mail us from our contact page.